Never underestimate the importance of the subject line. In the battle of the inbox, you’re fighting for attention. An engaging subject line makes all the difference. It should catch the reader’s attention and give them a reason to open your email. The sender name is just as visible as the subject line in an inbox. On mobile devices, it’s even more visible. The sender name greatly impacts open rates. Use a real person’s name with the organization’s name. For example, “Marcy from ChamberMaster” is better than “Marcy” or “The ChamberMaster Team”. new Chamber member. Download the Welcome Email Checklist and make it count. Remember, you’re competing with a recipient’s personal, work, and marketing emails. It’s time to take steps to win the battle for their attention. 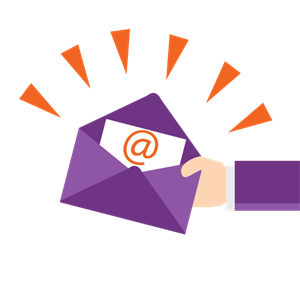 ChamberMaster SmartMail syncs with your email program so email and replies also are logged under Member's Communication log.